At this time, BEN & RyuBlitz are in charge, but others will surely manage and make their ranks known within the organization. Any and everyone who is a member here, is welcome to join this clan that obviously represents this unique community. 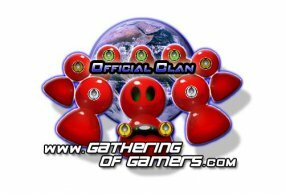 Our clan members represent a wide range of games being played and a full spectrum of skill levels. Displaying 1 - 8 of 8 comments. Let's keep this page updated and growing with members!! If anyone is interested in teaming up on Bioshock 2 let me know. My PS3 tag is StealthZombie. who is a halo 3 nut? Good eve to the world! Do you guys do anything on the PS3? That's all I have connected to the internet. Sweet, from the rank of recruit the new system looks good fellas. Hello from me, too, World.